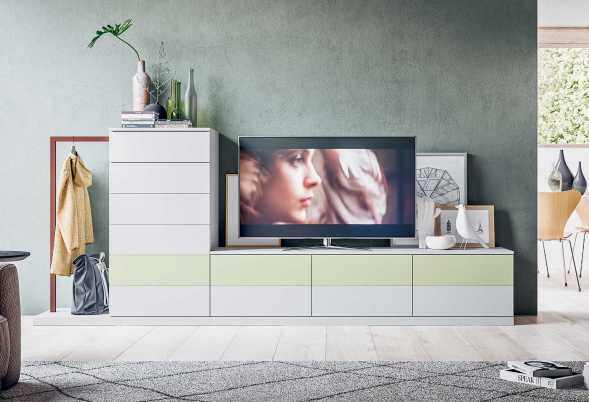 Start 20.20 is a spacious modular tv unit with drawers that offers lots of storage space and endless made-to-measure solutions. 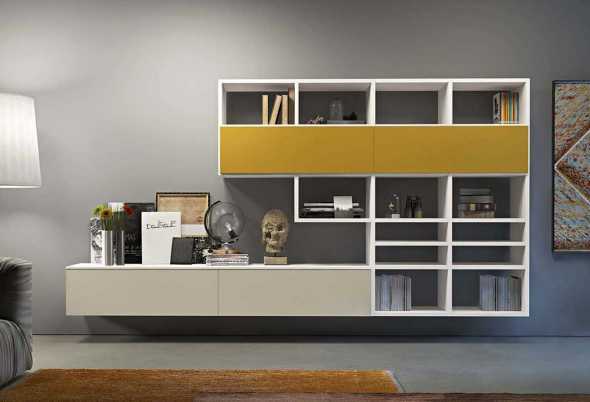 You can combine 2, 3, 4 and 6 drawer units in many colours. 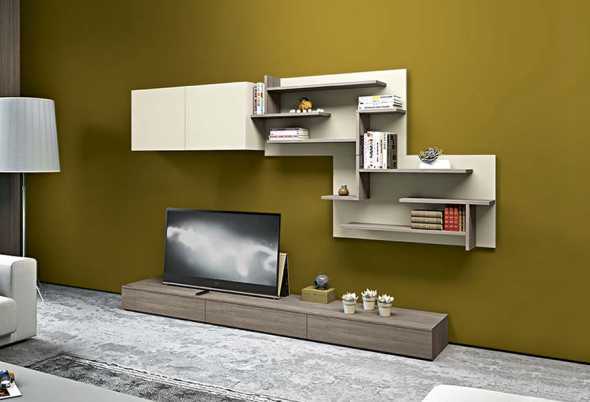 Wall System #2 is a living room wall mounted composition, perfect to furnish your environment in a very functional way. 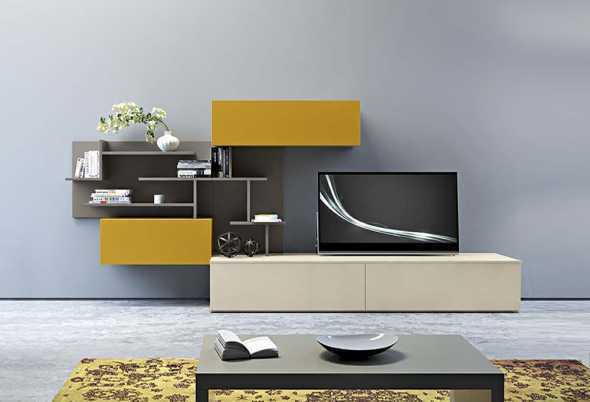 Wall System #3 living area furniture set including a customizable wall system in different sizes and finishes. 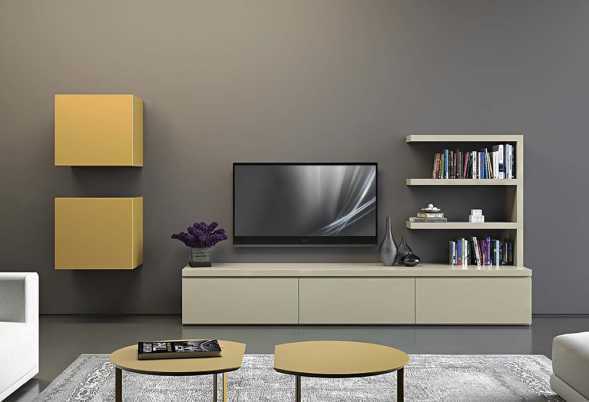 Wall System #4 contemporary wall system is a modular solution customizable for sizes and finishes, perfect for the living room. 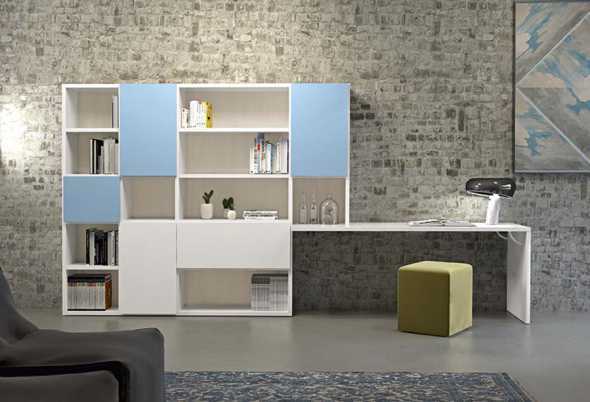 Wall System #5 is a wall unit with desk available in different widths. A single furniture item gathering different purposes. 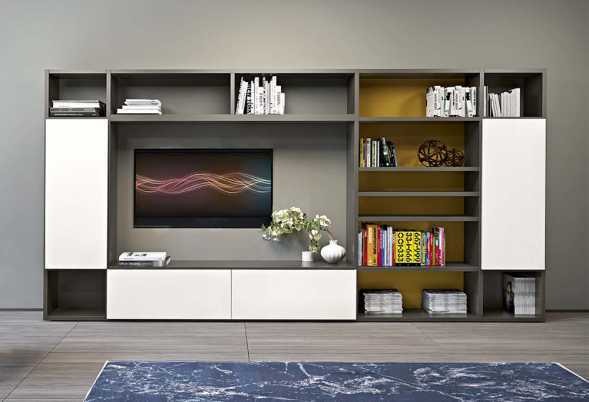 Day Box #1.0 living room cabinets is customizable for sizes, finishes and layout of the single elements. 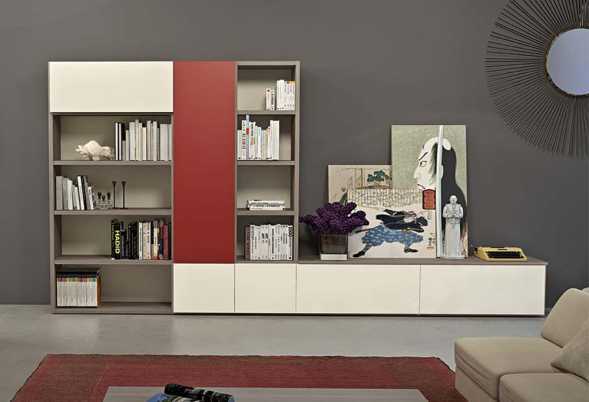 Day Box #1.1 wall system with bookshelves furnishes your living room in a functional and completely customized way. 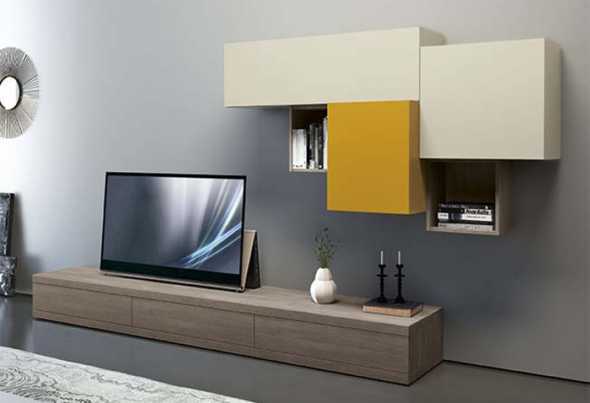 Day Box #2.1 modern living room furniture can be customized in terms of colours, dimensions, size and layout. Day Box #4 living room wall system. Its square geometric shape is brighten up by the several finishes available.